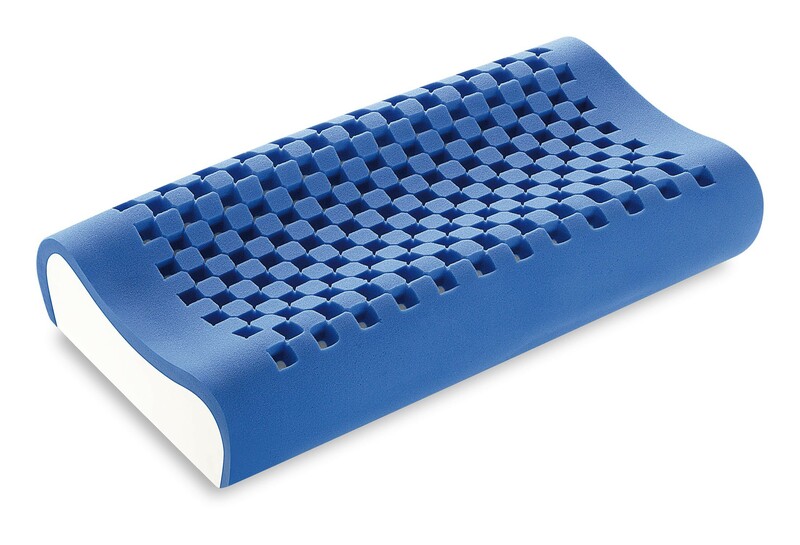 The “Dream Memory Blue Cervical” pillow, thanks to its concave shape, is perfect if you are looking for a pillow which adapts itself to every movement during sleep without constricting your neck. 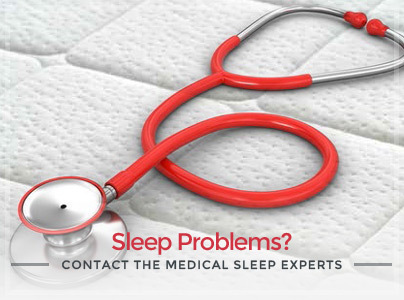 Particularly indicated for those who love sleeping on their side or in a supine position. 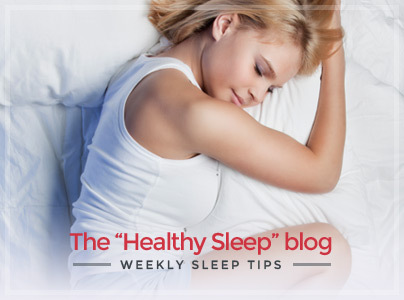 Extremely cozy, cool and breathable. 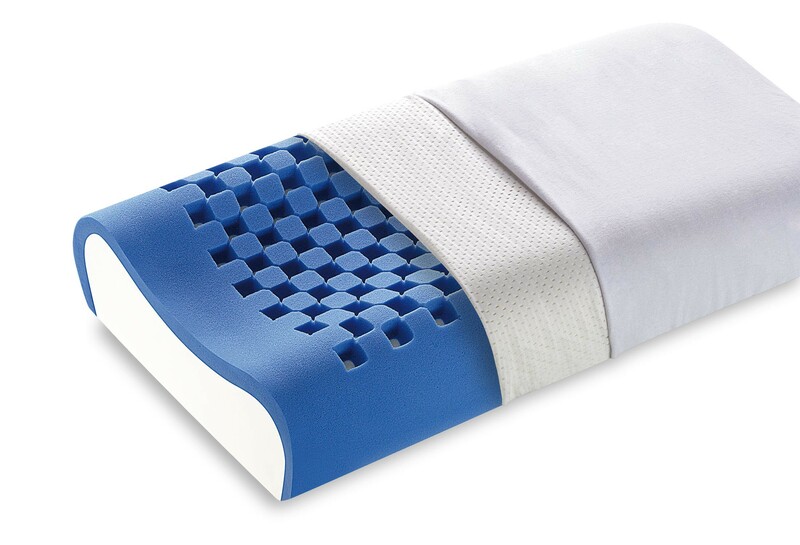 The “Dream Memory Blue Cervical” pillow is indicated for people with a pronounced shoulder width. Made of cool Memory Fresh Blue (the blue layer in the images) and Soy Memory Touch with an internal cover in openwork material: you will be able to use your pillow even when the cover is out to dry. 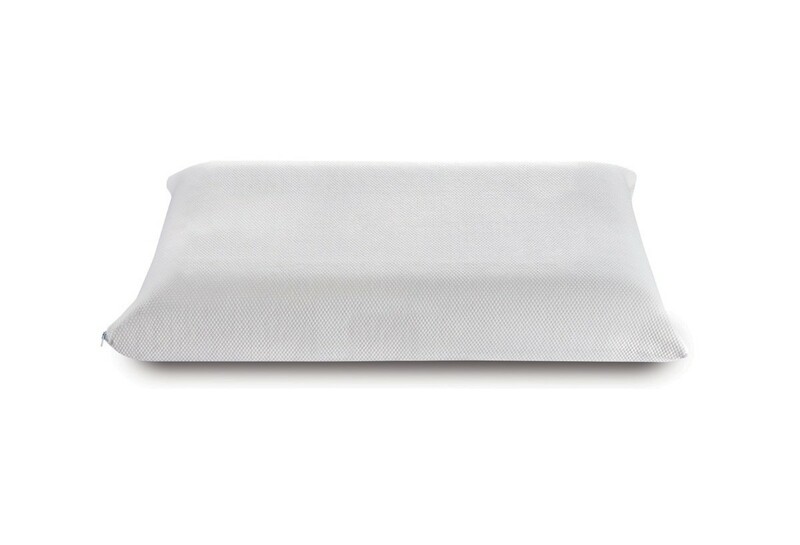 The external cover of the pillow is made of Actisystem fabric which is machine washable at 60°C and is breathable, resistant and pleasing to the touch.